Many of today’s digital cameras have sufficient quality for use in artwork documentation. This tutorial will first review quality criteria including resolution, color accuracy, color encoding, bit depth, image noise, and sharpness. We will next consider how to photograph artwork that is repeatable and scientific. This includes adding reference targets into the frame. We will conclude with a demonstration of an easy-to-use color management system. Participants should have general knowledge about using a single lens reflex camera. Roy Berns is the Richard S. Hunter Professor in Color Science, Appearance, and Technology within the Program of Color Science at Rochester Institute of Technology, USA. He directs the Andrew W. Mellon Studio for Scientific Imaging and Archiving of Cultural Heritage. He received B.S. and M.S. degrees in Textiles from the University of California at Davis and a Ph.D. degree in Chemistry from Rensselaer Polytechnic Institute. He has received lifetime achievement awards from the International Association of Colour, the Inter-Society Color Council, the Colour Group of Great Britain, and the Society of Imaging Science and Technology. The subject of Berns’ doctoral dissertation was designing a Munsell Book of Color where its appearance was invariant to changes in lighting. He is excited to return to the Munsell system. In this tutorial, we will explore how people who speak different languages name simulated Munsell chips in an ongoing color naming experiment (accessible at: www.colornaming.com). Participants will also learn about the linguistic, behavioral and geometric features of these lexical color categories. The tutorial will be concluded with the presentation of a color naming model that automates the assignment of color names across the full 3D color gamut. Note: Dimitris Mylonas's tutorial Color Naming Brings People Together is offered on Friday morning. Dimitris Mylonas obtained MSc in Digital Colour Imaging from the University of the Arts, London and completed MRes in Media and Arts Technology at the School of Electronic Engineering and Computer Science, Queen Mary University, London. He held a research position at School of Psychology, University of Liverpool, and in the Wellcome Laboratory of Neurobiology, University College London. Currently he is a PhD student at the Department of Computer Science, University College London, researching colour naming within and across different cultures. Since 2015, Dimitris Mylonas is Chairman of the Study Group 'Language of Colour' of the International Colour Association (AIC). A show-and-tell demo. Experience firsthand antique Munsell devices, instructional toys, and memorabilia kept at the MassArt Library. 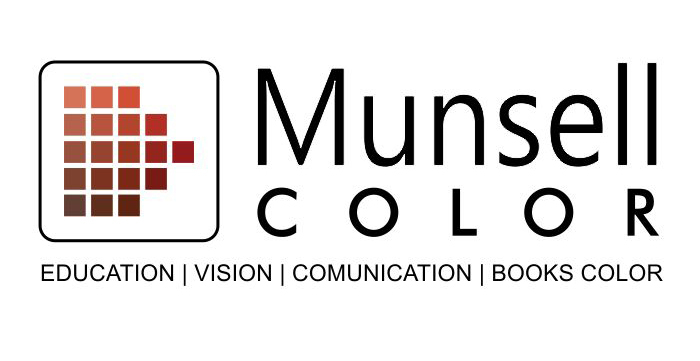 You'll see a vintage color sphere that spins, an early version of the "color tree," a 1920s edition of Munsell's Atlas with still vibrant color chips, assorted whirligigs and Maxwell disks, as well as unpublished Munsell photos and documents. Note: This tutorial session is also offered on Tuesday morning. Greg Wallace is the reference and instruction librarian at MassArt. He also holds a Ph.D. in history of art from Brown University. He has an ongoing fascination with color theory and has the pleasure of showing the MassArt Library's collection of antique Munsell objects to students and faculty every year. Put yourself in the shoes of a color consultant and explore the process of creating a color forecast. Color forecasting is sometimes referred to as a self-fulfilling prophecy but analyzing trends is critical for businesses who must decide - sometimes years in advance - on the color of their products. The risks of getting it wrong are great, the returns on getting it right are even greater. Note: This tutorial is also offered on Friday morning. Leslie Harrington Ph.D is the Executive Director of CAUS, The Color Association of the United States and a member of the Executive Committee of the International Color Association. Leslie is a professional member of American Society of Interior Designers and has held positions in several other organizations. She has an undergraduate degree in interior design; an MBA from New York Univ., Stern School of Business; and a Ph.D. in color strategy. She has held various senior management positions in the area of color strategy and color marketing over a 25-year tenure within the industry, including 16 years serving as the Color and Design Director for Benjamin Moore Paints. Anat Lechner’s research includes understanding the role of color effectiveness in designed environments and the link between color and emotions. A former Research Fellow at McKinsey & Co. the founder of a boutique management-consulting firm, and a co-founder of Huegroup, Inc., a Color Intelligence company, Professor Lechner client list includes global Fortune 500 firms in the Financial Services, Pharmaceuticals, Chemicals, Energy, Food, High Tech, Design and Retail industries. Anat holds an MBA and a PhD in Organization Management from Rutgers University, NJ. 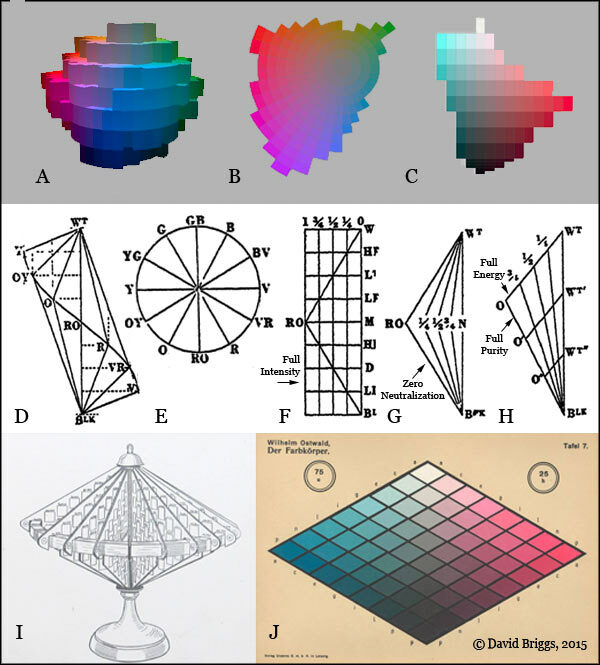 The conceptual framework for object colors of hue, lightness and absolute or relative chroma remains the predominant color model among artists. This preference is in part due to the central role assigned to the representationally and compositionally important attribute of lightness. Nevertheless, other attributes of perceived color including brightness, colorfulness, saturation and brilliance are also relevant to the color problems faced by artists. Through a combination of lecture content, Illustrations, demonstrations, interactive activities and open discussion we will explore in this workshop how these attributes of perceived color can be communicated so that they can be better understood by art students and artists. This workshop might be called ‘Art for non-artists’ except that we hope some artists will also take part. The workshop has two main aims. The first aim is the same as that professed by Josef Albers when he arrived to teach at Black Mountain College in 1933: it is “to make open the eyes”. Albers wanted his students to learn, first, how to see. Participants in this workshop will be looking closely to see subtle colour relationships and will try to capture the colour character of a flower or a painting. The second aim is to open up new ways of generating colour combinations for possible application in such fields as textiles and interior design. We will explore the possibilities of chance that emerge while playing a new version of The Colour Card Game and will follow the kind of advice once given to students by an eminent graphic designer: “When in doubt, rip off Matisse”. Participants will work with coloured paper to produce simple designs in a standard format. The standard format will make it easier to focus on colour relationships and on how the dimensions of hue, value, and chroma contribute to the overall effect of a design. Very little skill will be required and all materials will be provided. Participants will leave with their own examples of ‘Instant Art’. Paul Green-Armytage spent ten years working as an architect, exhibition designer and set designer for television in England, Canada and Australia, before he took up a position, in 1976, as senior lecturer in charge of the first year program in design at what is now Curtin University in Perth Australia. His interest in color research led to a PhD in 2005; the title of his thesis was “Colour, Language and Design”. He has contributed papers at many national and international conferences, served as a member of the executive committee of the International Colour Association and as president of the Colour Society of Australia. He retired from teaching in 2006 but remains active as a researcher and writer. “Choosing colours should not be a gamble. It should be a conscious decision. Colour is what we see, a subjective visual sensation. To characterize a colour you therefore have to describe what you see. It is not enough to identify a colour with pigments and their mixtures or with wavelengths and physical stimuli. How the colour is mixed, as well as the measurement data, is necessary for production, but to communicate with the customer you need a system in the way people see colours. NCS, the Natural Colour System®© is a logical colour system which builds on how the human being sees colour. The NCS notation gives you an unambiguous definition of a colour and any surface colour can be described. It can facilitate your colour specification, documentation and colour design. It is simple to decide and combine choices of colour with the help of NCS system. A colour system does not necessarily give pretty colour combinations, but it does provide a tool for experimenting with different colour harmonies. You can develop your colour concept by observing what the colours look like and how they relate visually to each other. We will work hands-on with various colour exercises which will develop your capability and sensibility of seeing colour. Note: This workshop is also offered on Friday morning. Mrs Berit Bergström is a Senior Lecturer for NCS Colour AB in Stockholm, Sweden. As the Managing Director for the NCS Colour Academy between 1991 and 2012, Mrs Bergström has decades of experience giving colour courses and presentations worldwide in NCS on a very high level. She has carried out colour design courses for countless colour professionals and has conducted colour studies at university level worldwide. Mrs Bergström is the Past President of AIC between 2014 and 2015, and held the Presidency for 2010 to 2013. She was the chairperson of the AIC Study Group on Colour Education between 1998 and 2009. She is currently the secretary of the Swedish Colour Centre Foundation, a member of the TASCII advisory Board, Tsinghua University, Beijing, China and member of the Advisory Board for Color Centre and Informatics at the Chinese Culture University, Taipei, Taiwan. Harvard has acquired scientific instruments on a continuous basis for teaching and research since 1672. 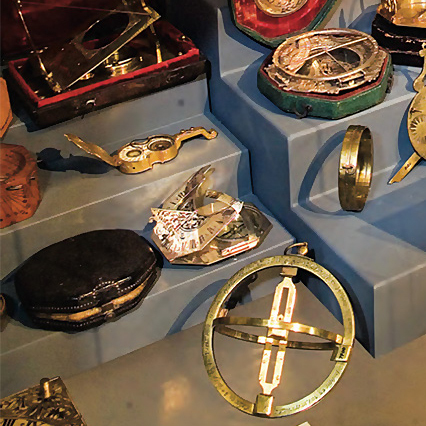 In 2006, Harvard’s Collection of Historical Scientific Instruments relocated from its hiding place in the basement of the Science Center to the main floor of the Putnam Gallery. The highlight of this field trip will be a special seminar presented by the collection staff to examine instruments related to color analysis and vision. These will include Edwin H. Land’s laboratory apparatus, early Munsell color globes and related instruments from the experimental psychology laboratory of Hugo Munsterberg (circa 1890s-1910s). Note: This field trip is also offered on Tuesday morning. The Straus Center for Conservation and Technical Studies at Harvard's Fogg Art Museum is a world leader in fine arts conservation, research, and training. The center’s laboratories are where conservation, conservation science, and curatorial practice intersect, coming together to enrich the understanding of and care for the approximately 250,000 objects in the Harvard Art Museums’ collections. 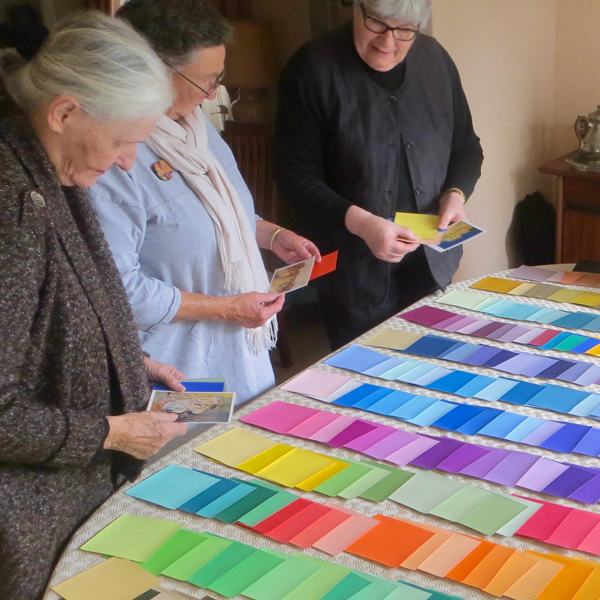 The visit will include a presentation by a conversation coordinator on the work of the lab from the viewing windows in the LightBox Gallery as well as a special tour of the Forbes Pigment Collection for a limited number of attendees. This MIT Museum exhibit is an unprecedented opportunity to see and compare the beautifully rendered images of renowned scientist Santiago Ramón y Cajal (1852-1934), with contemporary visualizations of the brain created by neuroscientists at MIT and other universities. The MIT Museum also houses a comprehensive holography collection in Holography: Dimensions of Light. Through new interactive experiences, visitors gain insight about how the interplay between one’s eyes, brain, and light creates three-dimensional space. The Gardner museum houses world-class paintings collected by Isabella Stewart Gardner during her lifetime. The Venetian inspired building, established as Fenway Court when it opened in 1903, today hosts Gardner's original collection of artwork as well as other art exhibitions and community events. According to the museum, the infamous 1990 theft of priceless paintings stands as the largest art heist in history.